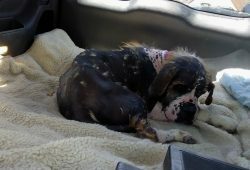 The donation went towards the medical bill for Kane, a Saint Bernard. It helped with the continued veterinary care for Kane. 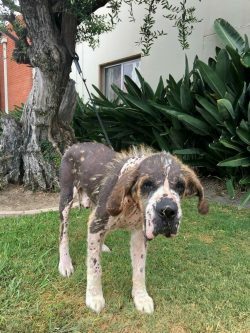 Kane is a 4-year-old rough-coat male Saint Bernard who was an owner-surrender at a local shelter on April 16, 2018. He was eligible for euthanasia on April 30, so we rescued him on the 28th after being notified that he was there. As you can see from the pictures, he has a terrible skin condition that will need medical attention right away. My vet has determined he has hypothyroidism and entropion in both eyes. He also needs to be neutered. 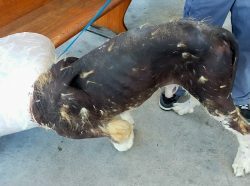 He is skin and bones, at least 50 lbs. underweight.